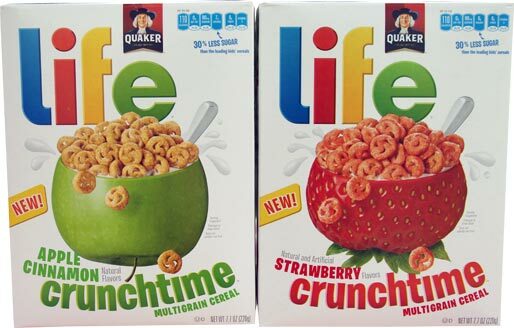 I tried both varieties of Life Crunchtime multigrain cereal: strawberry and apple cinnamon. Of the two, I preferred the strawberry flavor. These new cereals are described as "yummy cereal(s) moms and kids will love." If everything goes according to Quaker's plans, kids will enjoy the flavor and spiral shape of the cereal pieces, while parents will be fans of the relatively low sugar content and moderately high whole grain and dietary fiber content. I liked Strawberry Crunchtime best because it reminded me of a great lost cereal from the 80's, Strawberry Honeycomb from Post. It has a decidedly artificial strawberry flavor ala Franken Berry cereal. It's a flavor kids like. I liked it when I was a kid. It makes a big impact... it's "extreme" as the cool kids say. I also liked that it left a generous amount of flavorful strawberry milk at the bottom of the bowl. 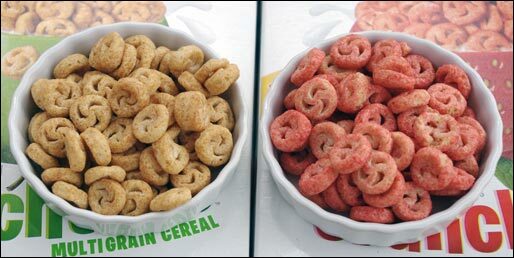 Both cereals offer a decent crunch - staying crispy in milk for upward of two minutes. Apple Cinnamon Crunchtime has a decent flavor, distinctly apple-like with heavy notes of cinnamon. I may have been less impressed with this one since there's a number of cereals already on the market with those flavors, notably Apple Jacks and Apple Cinnamon Cheerios. All in all, these are good cereals. They deliver the crunch and flavors promised on their boxes. Nutritional Considerations: A 3/4 cup serving has 110 calories, 1.5 grams total fat (0 saturated and 0 trans), 27 grams total carbs, 6 grams dietary fiber, 2 grams protein and 18 grams whole grains. The apple cinnamon variety has 7 grams sugar per serving, while the strawberry variety has 6 grams sugar. 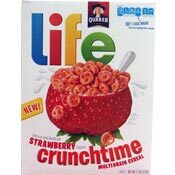 What do you think of Life Crunchtime Cereals? 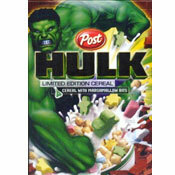 Where can you buy this cereal in Delaware? Amazingly fake-tasting, chemical flavors - and I usually like "fake" fruit flavors of most all kinds. Not that good here though. I agree - the strawberry version is the better of the two varieties. The apple cinnamon is very bland but the strawberry is very tasty more so as a dry snack because I found that in milk the cereal pieces get soggy and gritty rather quickly much like that cereal Krave which does the same thing. I think this would make a great food for toddlers too, pretty low in sugar and calories and when eaten dry, a very pronounced Strawberry flavor.